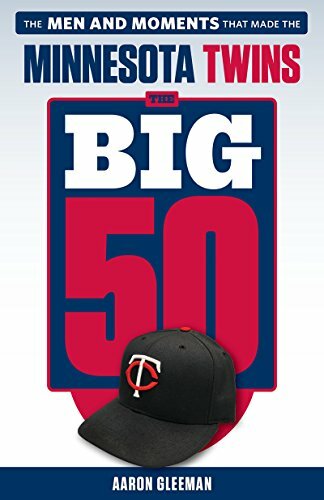 Last night was the deadline to offer departing free agents arbitration to receive compensatory draft picks if they sign elsewhere and the Twins did so to Carl Pavano, Orlando Hudson, and Jesse Crain, but chose not to tender arbitration offers to Matt Guerrier, Jon Rauch, and Brian Fuentes. Pavano and Crain were no-brainers, as they'll both have plenty of interested teams on the open market and if not the Twins would gladly welcome them back on one-year deals. Hudson was seemingly a tougher call, as he's had to accept one-year deals as a free agent in each of the past two offseasons and may simply decide to accept the Twins' arbitration offer to ensure another one-year deal for at least the $5 million he earned in 2010. That would hardly be disastrous, as he was certainly worth $5 million, but it's unclear how he fits into the budget for 2011 and I'd heard from several sources that the Twins weren't interested in keeping him. As a Type A free agent Guerrier signing elsewhere would have brought back a first-round pick and a second-round pick had the Twins offered him arbitration. However, the odds of another team be willing to forfeit their first-round pick to sign a good but not great 32-year-old reliever seem slim and the Twins didn't want to risk Guerrier seeing his lack of other options and simply accepting the arbitration offer because that could have meant paying him $5 million in 2011. My sense is that the Twins have little interest in bringing back Rauch, so while getting a draft pick when he signs elsewhere would've been nice they didn't risk his accepting arbitration and locking them into a one-year deal for at least $3 million. Fuentes earned $9 million this season, so any arbitration offer to him would essentially have been offering a one-year, $9 million deal and the Twins don't have that kind of payroll space even if they'd like to have him return. I'm very curious to see how the Hudson situation plays out, especially since it could impact J.J. Hardy, and it'll also be interesting to see if they make efforts to re-sign Guerrier or Fuentes at lesser salaries. Doing so with Guerrier is far more likely, but it's possible Fuentes could also be an option to come back if he can't find any full-time closer gigs on the open market. As general manager Bill Smith put it: "We haven't closed the door on re-signing any of those players." UPDATE: Ken Rosenthal of FOXSports.com speculates that the Twins may have a gentleman's agreement with Hudson that he'll decline their arbitration offer, which isn't unheard of (Javier Vazquez and Trevor Hoffman are also doing it) and would obviously make the entire situation a whole lot less surprising. If true, the Twins basically get a free draft pick out of the deal. Couldn’t agree more on this. I really want to like Casilla at 2B, but we needed him at SS a lot last year with Hardy being hurt so much. Hudson back with Hardy at SS and Alexi giving them a breather is a good option IMO. 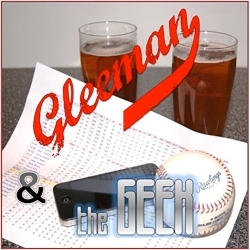 Word is going around that Hudson had a genteleman’s agreement with Twins brass not to accept arb it offered. Kind of the flipside of his clause that says that arbitration can’t be offered if he’s an A. But time will tell. It isn’t the worst thing, but I’m with Gardy for a change- they need some speed in their lineup. Speed? What we need is for Span to stop getting picked off first base. If for some reason Hudson DOES accept arb, does that mean we let JJ go? Hope not. I hope we keep JJ regardless of what Hudson does. Speed? Heck, if Ricky Henderson played for the Twins in his prime he would only have 40-50 SB’s per year. Since when do the Twins run? Now if we are talking speed as in defense , then I agree. Here is the problem I have with the speed comments coming from the Twins: At what position? 1B? You aren’t going to move Justin. C? You aren’t going to move Joe. RF? You aren’t going to move Cuddy. CF? Span is probably better as a corner OF but he isn’t going anywhere. LF? Young isn’t going anywhere. 3B? Pencil Danny V in for 2011. That leaves SS and 2B. The majority of MLB teams would be more then satisfied to have JJ and O Hud as their middle infielders. So, where are you going to put speed if you can find it? The bench? You need a RH bat Twins. Unless the Twins are looking to move Cuddy(no one woill touch that large contract) or Young I don’t see where they are going to get speed. Casilla replacing O Hud or JJ gives you some speed but what about the offense? Is Casilla and JJ/O Hud better then JJ and O Hud? I say no. I’ll be realy bummed if Hudson accepts and they lose Hardy. I’m hopeful he has already agreed not to accept. Hardy>>>>>Hudson. Agree on comment RE: Span getting picked off. Big problem. We can add speed very easily. Casilla for O Hud. Then you platoon Cuddy and Kubel at DH with both getting spot starts elsewhere. That opens up RF for Span to move over and a speedier CF to take over. Your OF speed just increased significantly and you’ve sped up 3 positions, if not 4, as Cuddy and Kub are easily faster than Thome. You are also fixing the Kubel vs LHP issue. The only problem is you have big contracts platooning, which is not optimal. The Twins went from Piranhas scratching out bases to going station to station. There were also a ton of fly balls that fell in the gap vs NYY in the ALDS that faster OF’s (like Gardner and Granderson) would get to. I’ve seen too many bad plays in the field by Casilla to think much of that option. He’s not a starter until he becomes a reliable infielder. Now THERE’s a chicken-and-egg problem. I’ll throw out my plug for Casilla being better than the O-Dog right now. Cheaper switch hitter with better bat control from both sides. He’s theoretically perfect for Gardy’s bugaboo, the 2-spot in the lineup. O-Dog hurt us with his injury-capades last year too (when you’re hurt, go on the DL). 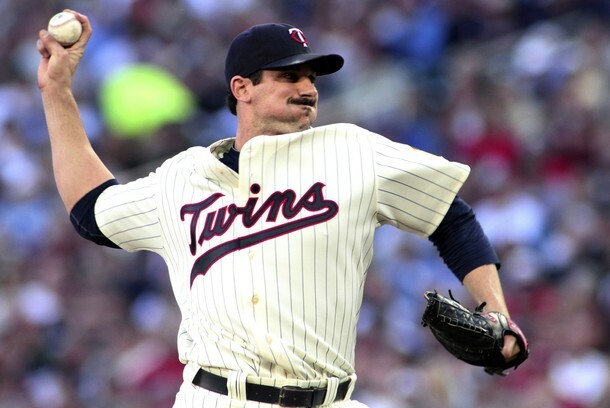 In any event, the Twins can’t lose BOTH Hardy and the O-Dog, because after Casilla, the larder is awfully bare. Casilla is already here but yes he is faster then O Hud so there is one upgrade. CF would be the other. That’s only two. Span, Cuddy and Kubel already play/DH. Who do you recommend and realistically think we could get for CF? Has to be RH and at least a 270 BA and 350 on base % otherwise we will be losing production. And so begins the “New Joe Mauer” for the Twins. A $23 million contract for the next 8 years that will hamstring the Twins ability to upgrade the team. If we were getting $23 million a year production, it would be different. If we were getting Hamilton, Pujolis, Cabrerra-type production, the contract would be easier to swallow. Instead, we’re getting a soft, slap-hitting catcher with little run production…career average of 9 home runs and 75 RBIs a year. Why would Hudson agree to decline arbitration? It just makes him more expensive for whatever team signs him (now he costs salary plus a draft pick). So in effect Hudson’s agreed to either limit his options or take less pay in 2011. Nope, he wouldn’t cost any team a pick. He’d just be getting the Twins a supplemental pick. Ditto- Hudson’s a type B, so the team that gets him doesn’t give up anything to do so.